Do you know what season it is? Not Fall... Football Season!! I'm so glad football is back on TV. 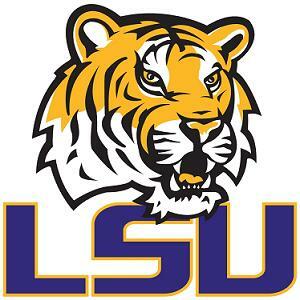 I love watching my Saints and LSU Tigers play. Saturdays and Sundays just aren't the same without some football to watch. We love having people over and cooking some Louisiana fare for the LSU games. And it's fun on Sundays to go somewhere and watch the game with friends. My first match up is this weekend! I hope I win! Should be an interesting trophy.